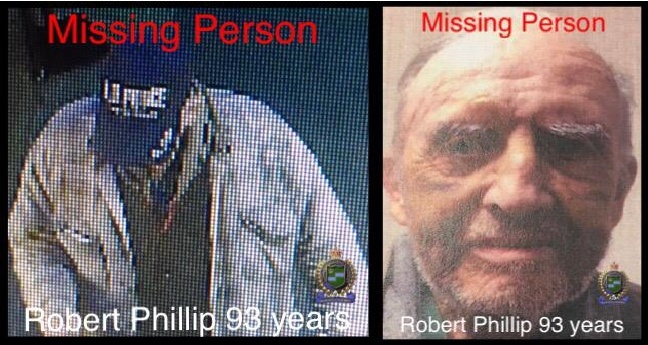 UPDATE: Niagara Regional Police have located 93 year old Robert Phillip. They would like to thank the public for their help locating him. Niagara Regional Police are on the lookout for a missing 93 year old man in Niagara Falls. Robert Phillip left a retirement home in the Main Street and Ferry Street area at around 6:45 p.m. last night. This is very unlike him, and police are concerned for his welfare. Phillip is a white man who weighs about 175 pounds with grey and white hair and walks with a cane. He was last seen wearing a grey checkered coat with a blue shirt and a navy blue 'Air Force' baseball cap. Anyone with information should contact the NRP dispatch by calling 905-688-411.